World is constantly evolving. With XXI century we have new technologies presented all the time. But it also introduced new ways of earning money. Possibility to earn money in much more simple way, with less time required and from every corner of the world. You just need notebook and access to the Internet. In this new wave of possibilities FutureNet was set up and its FutureAdPro (FAP) revenue share (revshare) program came to life. You can also use this opportunity for your benefit and start earrning. It's easy, simple and it require only 10 minutes per day. With FutureAdProCalc advanced calculation tool it is much easier to estimate profits that you can have and choose best strategy for earning with FutureAdPro revshare. It's also much easier to promote it to your friends and customers getting additional reward in the program. Why should you use FutureAdProCalc Pro? Try it out with Demo version! How to get access to FutureAdProCalc Pro? Send an email to contact@futureadprocalc.com with sceenshot from your account as presented below. Your username and number of active AdPacks has to be visible on the sceenshot. Otherwise access will NOT be provided. Send this code with your email address for which access should be enabled to contact@futureadprocalc.com. After verification you will get access to calculator Pro version. Please make sure that code you are sending has NOT been used before. You will get access only if sent code is still valid and its value is not less than $10. If code value is higher difference will not be refunded! 1Registration with other link is not possible and access to Pro calculator won't be given. Do not want to use FutureAdProCalc? Sign in to FutureNet social platform for FREE! FuturoCoin already available on BitBay!!! 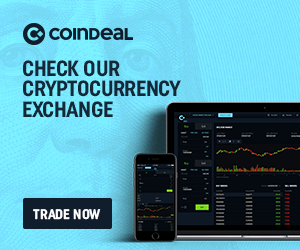 FutureCoin(FTO) already available on CoinDeal. Trade now!!! FutureAdProCalc was updated with FutureAdPro 2.0 changes!! !